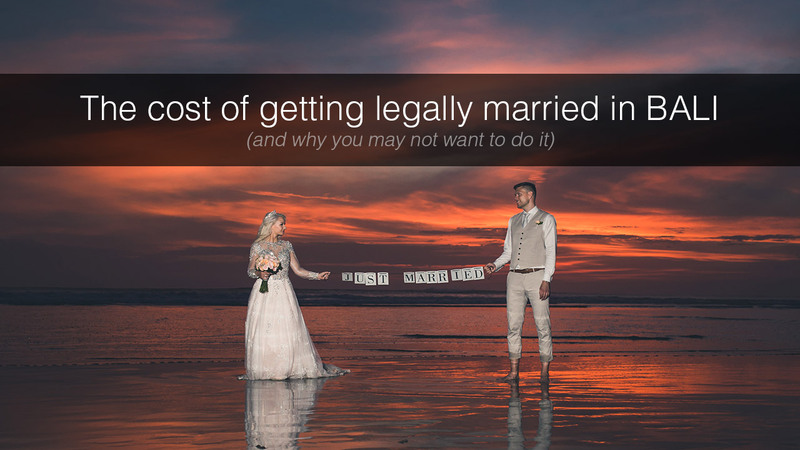 The cost of getting legally married in Bali - All you need to know. The cost of getting legally married in Bali - All you need to know. We here at the BALI WEDDING BLOG often get asked how much it costs to get legally married in Bali. And what does it take to do so. Getting married can mean different things to different people. Especially for destination weddings. For some folks having a wedding means that at the end of their wedding day they need to have a document that proves that they are from now on a legally married couple. For others, the legal marriage certificate is just a contract that can be done at anytime, anywhere. So here comes my advice: If it is not important for you whether the legal aspects of your marriage will be done in Bali or in your home country then do it back home. And have only a blessing ceremony in Bali. What is the cost of getting your legal marriage certificate done in Bali ? Many of you have been wondering if it is cheaper to do the legal wedding in Bali compared to getting your legal papers in your home country. Let me give you the answer right away: The cost difference between having a wedding ceremony in Bali without getting a legal marriage certificate and a ceremony that will include your legal wedding certificate is between 300 USD and 500 USD. The exact amount will vary depending on what country you are from. For example, some of your papers may need to be translated and the translation fees charged by your embassy or consulate will vary from country to country. Other fees charged by your consulate / embassy will also vary among different countries. And lastly, the price for arranging all this can be different among wedding companies in Bali who help you with this. IMPORTANT: Let me make sure that we all know what I mean by the cost of a legal marriage in Bali. In this article, I am talking only about the cost for preparing the necessary papers and the cost incurred by the services of the Indonesian civil registry who will issue an internationally recognized document that proves you have been legally married in Bali. 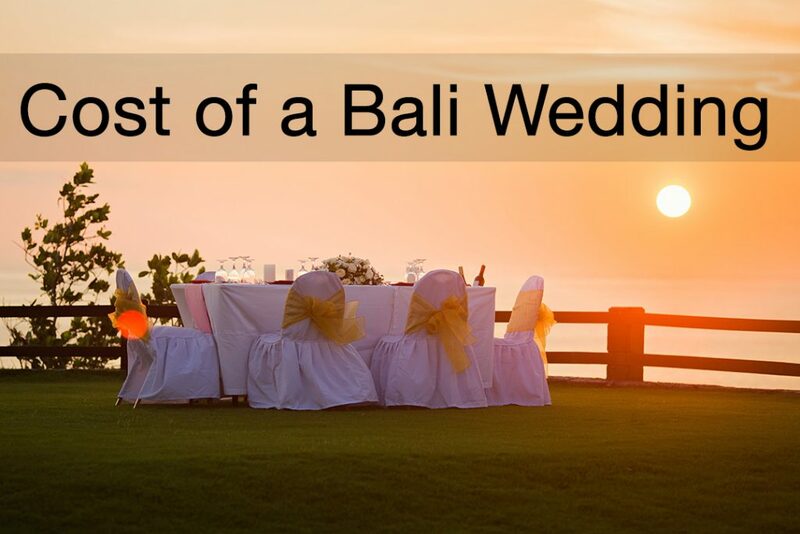 If you want to know more about the total cost for a wedding in Bali see this article. With all that mind it is fair to say that it would be cheaper for you to get your marriage certificate back home. If you are a citizen of a country that has a consulate in Bali is relatively easy. Countries with a consulate in Bali include AUSTRALIA | USA | UK and several other larger European countries. 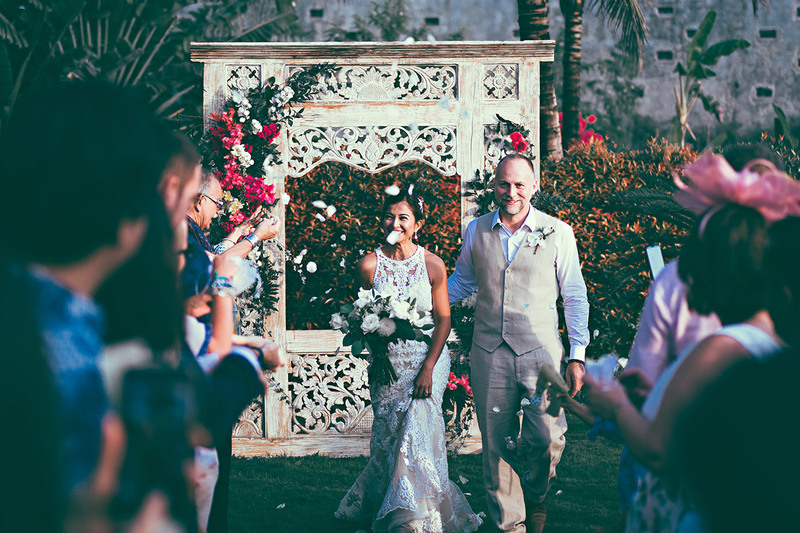 If you want to find out if your home country has a consulate in Bali try to either google or ask your wedding planner or whoever is helping you arranging your wedding in Bali. If your country does not have a consulate or legal representation in Bali your paperwork will need to be taken care of at your embassy in Jakarta. And for citizens of certain countries, it is necessary to personally come to the embassy in Jakarta. FYI: Jakarta is Indonesia’s capital and it is 1.5 hours by plane from Bali. In the worst case, you will even need to stay a couple of days in Jakarta until the embassy has processed the paperwork. For some countries with an embassy in Jakarta, the papers can be obtained without having to personally fly there. For details please consult with your wedding planner or whoever is helping you with your wedding in Bali. Of course, you can also try to do all the paperwork on your own without a wedding planner. However, very few couples choose to do so. How many couples chose to have a legal wedding in Bali? Here is what the numbers say. To some of you, this may come as a surprise. The majority of couples coming to Bali for a wedding have their legal paperwork done in their home countries. Either before or after their destination wedding in Bali. Those couples who choose not have a legal wedding have a commitment ceremony instead. Sometimes also referred to as a blessing ceremony. Don’t come to Bali if you think it is easier to get legally married here. Bali is not Las Vegas ! Bali is not a place you should choose to get legally married because you think it is easier here. It is not !! On the contrary. It is certainly more difficult and more complicated to have your legal marriage processed in Bali when compared to having it done in your home country. You want a place to have a quick and easy legal wedding ? Try Cyprus. Try Las Vegas. Those are just two popular places for those seeking an easy route for a legal wedding. 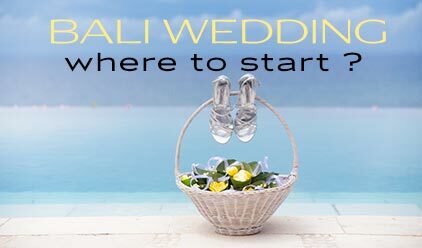 Also, if you were wondering if Bali may be the right place to have a legal wedding when it is difficult or impossible for you to have your wedding back home make sure to explore the following: 3 REASONS NOT TO GET MARRIED IN BALI. If it is your choice to come home from Bali as a married couple ‘armed’ (no pun intended) with a marriage certificate it can be done. You will need to forge out between 300 US$ and 500 US$ for getting this legally binding document. Which will also make your wedding in Bali being recognized in your home country. If your home country has a consulate or a legal representation Bali is relatively easy. But it may still take an afternoon out of your holiday time in Bali. Whereas if your country does not have a legal representation in Bali it can get complicated. And also expensive because you may need to fly to Jakarta and even spend several days there. Also, in total, the number of couples who have legal wedding in Bali is a minority. And even though the number of couples coming to Bali to have their wedding here is increasing steadily the percentage of legal weddings is decreasing. There you have it. Now you know the cost of a getting legally married in Bali, what it takes and what the majority of other couples are doing. I hope the info I have provided was useful to you. And as always if you have any questions or if you seek further information feel free to contact us. We are here to help. In this article, we answer our reader's most burning question: What is the COST OF A BALI WEDDING? We will also compare various options and how you can make your budget get you exactly the destination wedding in Bali you were hoping for.